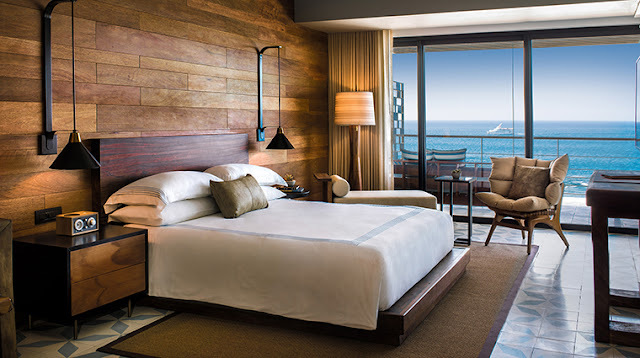 The Cape, a Thompson Hotel is a luxury boutique hotel in Cabo San Lucas. The hotel offers a beachfront retreat in Los Cabos, Mexico with spectacular views. Nestled on the beach, this Cabo San Lucas hotel is just steps from San Lucas Bay and Monuments Beach. Medano Beach and Cabo del Sol are also within 3 mi (5 km). Spend the day playing on the beach then return to dine at one of The Cape - A Thompson Hotel's 2 restaurants. All 161 shared rooms provide free WiFi, free wired Internet, and Tempur-Pedic beds. Comforts include Egyptian cotton sheets and down comforters, and guests will also find balconies and iPod docks.